D-Link DIR-651 Wireless N 300 Gigabit Router Connect you desktop computer to a wireless network and access a high-speed Internet connection, transfer files and stream media from greater distances across your home than previous-generation Wireless G* technology. The D-Link Wireless N 300 Gigabit Router (DIR-651) comes equipped with 4 Gigabit ports to provide speeds up to 10x faster* than standard 10/100 ports. It also uses 802.11n technology with multiple intelligent antennas to maximize the speed and range of your wireless signal to significantly outperform 802.11g devices1. With the addition of Intelligent Quality of Service (QoS), data streams are separated which helps organize and prioritize your network traffic so your video streaming, gaming, and VoIP calls run smoother over both your wired and wireless network. 1.Maximum wireless signal rate derived from IEEE Standard 802.11 specifications. Actual data throughput will vary. Network conditions and environmental factors, including volume of network traffic, buildings materials and construction, and network overhead, lower actual data throughput rate. Environmental factors will adversely affect wireless signal range. Wireless range and speed rates are D-Link RELATIVE performance measurements based on the wireless range and speed rates of a standard Wireless G product from D-Link. Maximum throughput based on D-Link Wireless N devices. 2.1-Year Limited Warranty available only in the USA and Canada. 3.Computer must adhere to Microsoft’s recommended System Requirements. 4.The software included with this product is not Mac-compatible. It looks like D-Link wants to offer a competitor to Cisco’s new Linksys E1500 budget router. According to D-Link, this new single-band router features multiple intelligent antennas, and supports Intelligent Quality of Service, which aids in optimizing Internet traffic for services such as VoIP or gaming. Most significant, however, is the fact that D-Link’s new router supports Gigabit Ethernet, which the E1500 doesn’t. This means wired clients can enjoy network speeds of up to 1000Mbps, and those with a home server can enjoy media streaming to multiple devices without worrying about clogging their networks. 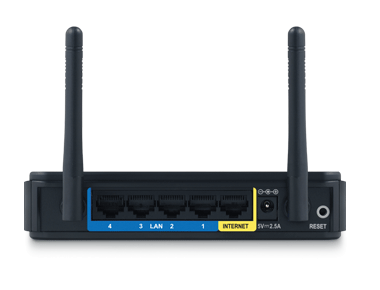 Like most wireless routers, the D-Link DIR-651 comes with four LAN ports and one WAN port. For security, the router also supports all variations of WPA and WPA2 standards. In addition, it supports Wi-Fi Protected Setup (WPS), so you can add WPS-enabled clients to the network with the push of a button. The DIR-651 Wireless N 300 Gigabit Router is slated to be available next month for an estimated price of $90, about the same as that of the Linksys E1500. 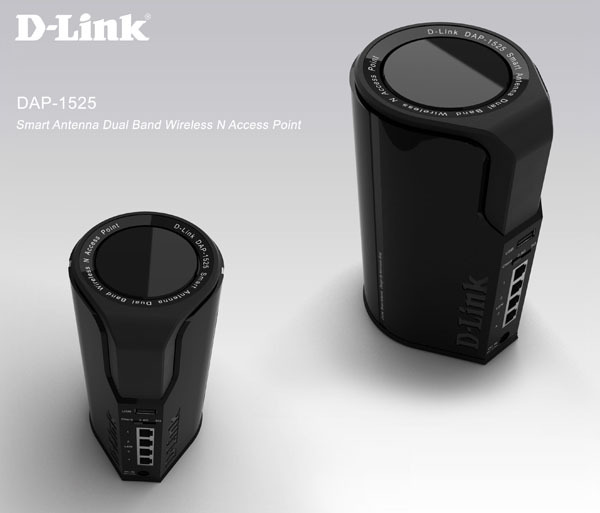 D-Link passed its SmartBeam entry Point, style amount D-Link DAP-1525, pictured above, by method of the FCC today. This sleek equipment could be utilized like a conventional WiFi router, or like a wireless bridge to extend your wireless network. The equipment facilitates dual-band Wireless-N, and features six-element directional antennae and 4 gigabit Ethernet ports on its back. While this features is not especially unique, the design and design from the sensible Beam entry place is particular to turn heads. as opposed to common rectangular entry points, the sensible Beam entry place carries a cylindrical type and is also developed to stand vertically like a can of Pringles. nobody mentioned you cannot be trendy will eliminating WiFi lifeless zones. The SmartBeam entry place could be released this Spring for $150. I have a D-Link DP-300U print server. t has 2 LPT ports and 1 USB. I am using 1 LPT and the USB. 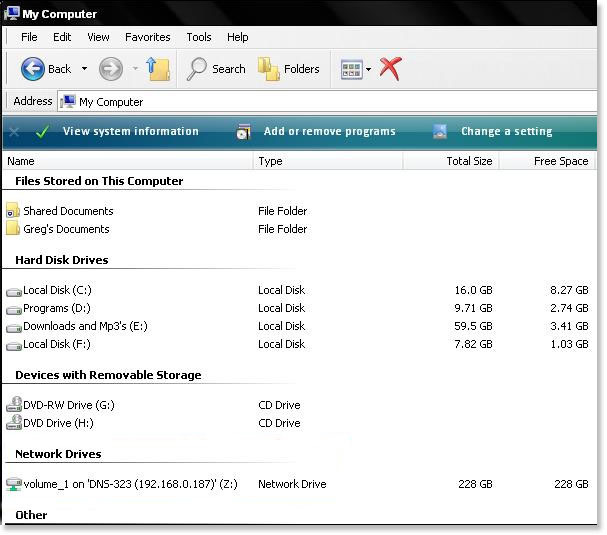 Windows 7 finds the Print server in Network under Other Devices and even shows it with a name as a computer. Double click on that open it up and allows me to see the 3 ports on the server. If I try to connect at that point the OS tells me that it cannot connect. I have gone the route of setting my printers up as IP ports and used a generic Network Print Server listed there but as soon as I reset my router, the print server goes to another IP addr and I lose my printers. I also tried to statically set the IP address of the server but I cna’t getthat to work either as the router just assigns an IP and pays no attention to what the server may want to do. Q:Windows 7 finds the server under devices no matter what and finds it under computers. SO why can’t it automatically connect ot my printers?? A:I could not get a static IP assigned to the Print Server (PS). I think the router assigns them regardless of what the PS configuration says. But other strange things happen too. I could ping the static IP address that I assigned in PS config AND got response, but the router did not show it as assigned, nor was it a valid address to access the PS config screens as they are HTML. In order for the router to show IP addresses on its DHCP clients screen I have to renew the IP addresses on each machine. Odd, but no show stopper. 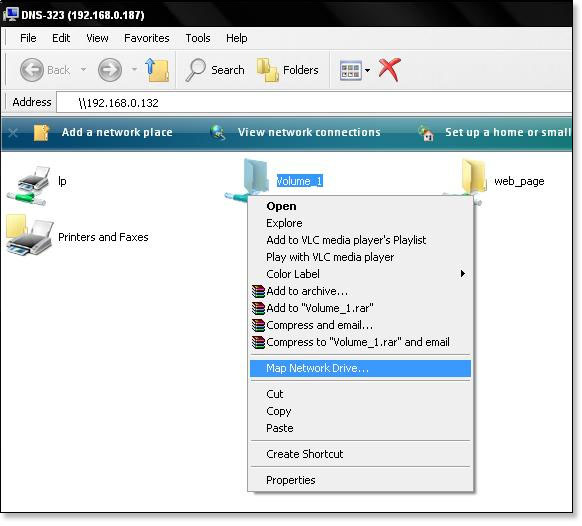 Problem occurs when the router has to be reset. 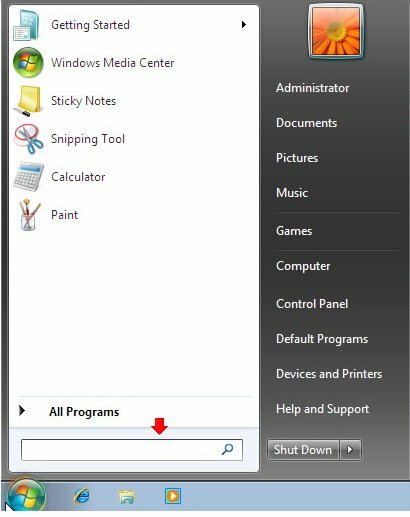 Since the only way that Windows 7 allow me to access the printers is via a TCP/IP port, as opposed to PS name as XP lets me on the other two machines, I have instituted a network restart policy incorporating a hardware start-up sequence. (See, I kin still Corp-speak) This will be easy to maintain as I am the only one doing it. 1. Turn off all machines and unplug the PS. 4. Start machines in any order after that. I have D link DP-300U print server connected via cable to my Network, it has a Epson LQ850(parrelle port) and a HP Laser Jet 1200(USB) printers connected. All my others PCs (OS Win XP SP3) print to these printers without problem expect the 1 with Windows 7 Basic as the OS. I can’t get the printers to connect to the PC, even though the Print Server is detected in the devices. I can see the Print Server settings thru Web browser, but cannot print. The DP 300U is assigned a manual IP address 192.168.1.10, all PCs use automatic IPs. Q:Where could i have gone wrong? Please help. A:On the wonky pc, Look at the PORT assignment under Printer Properties and see if it matches what you think it should be. Also, when I added my little print server (not the one you have, but probably similiar in function), the port configuration got set to RAW and my gizmo needed an LPR data-stream for it to see the printer properly, so I had to change the setting from RAW to LPR and then give it some Que name, which I used iP4500…and it began to connect immediately. have checked under the port property, the TCP IP is the same as the printer server, also have changed the settings to LPR and assigned a queue name. The test print works fine, but when pc is restarted, the printer goes OFFLINE and cannot respond. Thanks. Windows 7 can’t print color:I put a new hard drive and brand new Windows 7 in an old PC and it won’t print in color to our network Xerox Phaser 7750 GX printers, including the Windows test page. The printers are fine and everyone else can print no problem. I’ve uninstalled, used different printer drivers (the automatically selected & the same as a working PC), tried printer sharing – no joy. The test page print out says color supported: no yet on the PC it says color support is on.Any ideas? With Xerox network printers (I’m not sure if yours has an ethernet port, but I’m assuming it does since you indicated that multiple users have access to it) there is a Printer Preference burried somewhere that allows you to obtain information from the printer on its features. If you can find this option, you can select “update now” (or some such similar option) and it will communicate with the printer to find out which features are available, then re-configure your driver to be consistent with this. This should enable colour printing for you. 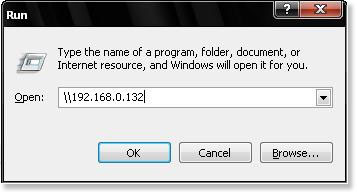 Step 1: For Windows XP, Click Start and Click Run ,and type \\IP of D-Link DNS-320/DNS-321/DNS-323/DNS-325/DNS-343 (eg. \\192.168.0.132) and press OK.
For Vista or Win7 this command line is located right above the Windows Button. The Mobile Wireless Router can be installed quickly and easily ( Plug and Play ) almost anywhere. Simply insert a compatible mobile broadband USB adapter into the DIR-412 to share your Internet connection through a secure, high-speed wireless network. Wireless routers are essential for any home network that will combine wireless and wired network connections. Assuming that you have broadband service that provides an appropriate broadband modem (DSL or cable), this device can act as a gateway router that will connect your entire household to the internet. It handles requests from one machine in the Local Area Network (LAN – your house) to another and to the internet, and keeps track of which computer asked for what. The modem plugs into the router in a specially-marked port, and then the local computers either physically connect to it or connect to the wireless network which it also handles. It is recommended that desktop systems be connected by physical Ethernet cables, as they are more reliable, while laptops can use the wireless network from anywhere in the house. 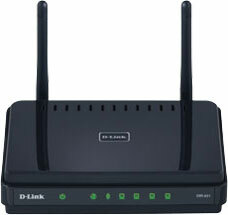 The D-Link® Mobile Broadband Wireless Router (D-Link DIR-412) allows users to access worldwide mobile broadband*. Simply insert a compatible mobile broadband USB adapter into the DIR-412 to share your mobile broadband Internet connection through a secure, high-speed 802.11n wireless network. A 10/100 Ethernet WAN port allows you to access a DSL/Cable modem as the primary backup connection. Auto-failover ensures an uninterrupted connection by automatically connecting to your mobile broadband network whenever your Ethernet network goes down. Anyone who deals with networking and wireless uses would undoubtedly have chanced upon the determine D-Link, and recently D-Link center East consists of a brand determine new wireless router for the masses – the DIR-412 3.5G Wireless Router. For individuals who are inside the industry for just about any new wireless router, why not look in the D-Link brand determine if you have been producing utilization of other names so far? That is, assuming you are getting problems using another marques, of course, otherwise there is no should reinvent the wheel on this kind of the case. The D-Link DIR-412 arrives throughout like a diminutive 3.5G router which allows consumers to write about a 3.5G internet link through a secure, high-speed wireless system at any time just one hooks up a 3.5G USB adapter to it. This must acquire people frequent travelers sitting upright at this kind of news, contemplating that it provides unprecedented connectivity options regardless of in which you go – just make particular your 3.5G data-enabled account has limitless information along using the cheaper roaming fees near to beforehand.